Aurodiag says its Otosys IM600 Auto Key Programmer and Diagnostic Tool is the next generation in key programming devices. With its 10” Android-powered touchscreen tablet, it combines the most advanced key programming and immobiliser capabilities with OE-level diagnostics and service functions. 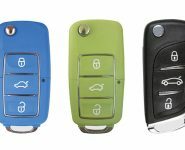 Designed for beginners and experts alike, the OtoSys IM600 is among the smoothest and most powerful immobilisers and key programmers in its class, and now Aurodiag is bringing it to Australia with The Key Guys. No matter your level of expertise, Aurodiag says the IM600 is a user-friendly device that packs a punch. For everyday tasks, the IM600 operates in Smart Mode for guided and automated key learning, perfect for industry newcomers. When operating in Expert Mode, it performs advanced key learning tasks including IMMO, EEPROM, BMW/Audi, and all-keys-lost, ideal for experienced users looking for a device that can keep up with them. Such powerful functionality goes a long way for operating on a wide range of vehicles, it says. Featuring a UP400 key programmer and OtoFlash J2534 pass-thru programming device, the IM600 performs OE Diagnostics for over 80 models, as well as IMMO functions for over 60 worldwide models, making it the most comprehensive device of its kind, says those behind the product. All of this is packed into a small, neat device with all the specs you need: Android OS, 15,000mAH battery, eight Megapixel camera, Wi-Fi capabilities, and 32GB SSD memory. Its service function menu, displayed on a crisp LCD touch screen, covers everything from Oil Light Reset and BMS and TPMS Sensor ID to advanced functions such as ECU Coding and VW/Audi Component Protection.